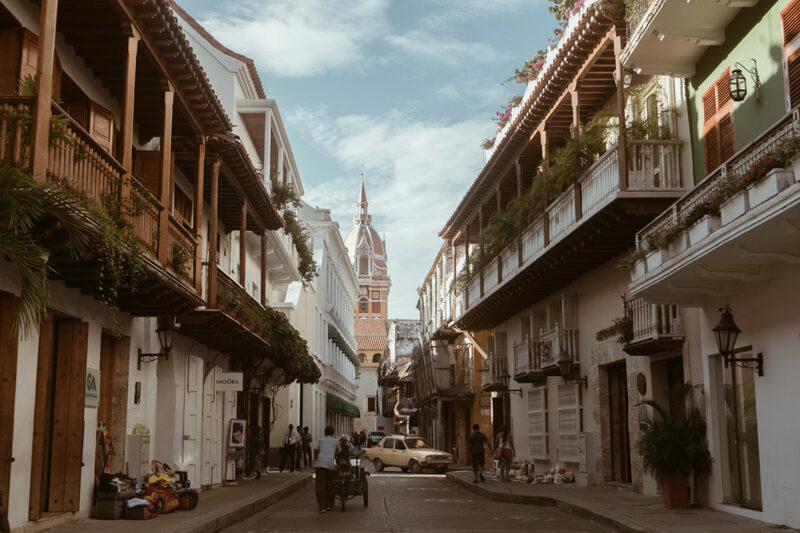 The 500-year-old walled city of Cartagena, Colombia, is chock full of history, but it also happens to have a burgeoning food scene, wild nightlife, great shops, and beautiful beaches nearby. In other words, it ticks a lot of destination boxes. And its size is perfect for both a long weekend (manageable if you’re visiting from the States), or a more relaxing weeklong trip. Places to eat, sights to see, and things to do in this gorgeous coastal city. The ingredients coming out of Colombia are as unique as the people who cook with them. These are the six you definitely shouldn’t miss. This rustic-chic lodging epitomizes the heart and soul of the city. Cloclo Echavarria’s family owns the renowned Casa Chiqui store and brand. Capturing the brightly painted houses and swaying palm fronds that will transport you to a state of pure Colombian calm.